With the 2011 ING NYC Marathon a mere five weeks away, I continue to train to run 26.2 miles while running races to qualify for a bid into the 2012 marathon. 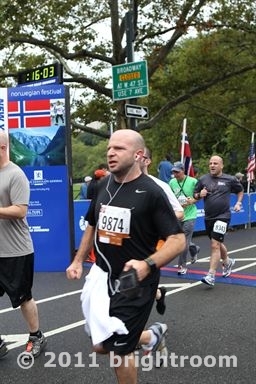 My fourth race in the New York Road Runners 9+1was the 1.7 mile Norway Run. This past Saturday, there were two races to commemorate Norway Day in New York City. The first was the Norway Run, a 1.7 mile race through the lower loop of Central Park, and Grete’s Great Gallop, a 13.1 mile half marathon that went around the entire park. I opted for the shorter of the races to count as my qualifier among the nine races, since I planned to run a half marathon the following week. 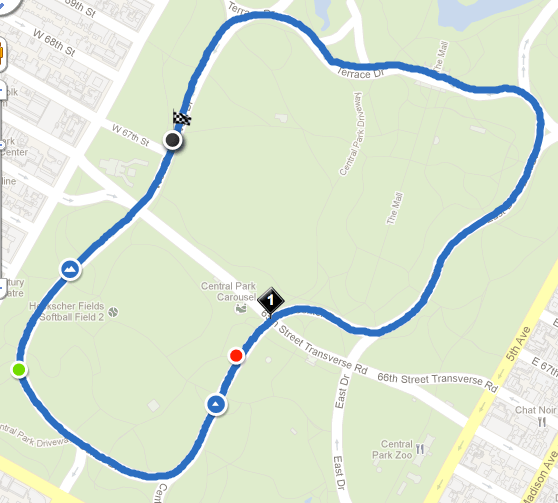 The race began on the west side of Central Park by Tavern on the Green at 8:15am. A narrow, packed course as we headed south, weaving between people, and occasionally outside the cones denoting the path we were to take. Like the previous week’s Fifth Avenue Mile, I didn’t need to keep much of a reserve for a long race, so I was able to keep a higher pace than I normally would. I tried to stay around an 8 minute mile on my Nike+ GPS watch, but terrain and crowds didn’t always allow me to keep the pace I wanted to. Ultimately my time for the Norway Run was 14:16. I didn’t have a goal time for this race, unlike may of my other runs. I just wanted to have a good time that would bring my per mile average overall, as recorded by the New York Road Runners. My average time of 8:24 per mile accomplished that goal and I look forward to not only running the 2011 ING NYC Marathon in a month, but to completing the other five races required for me to have a bid in the 2012 marathon.